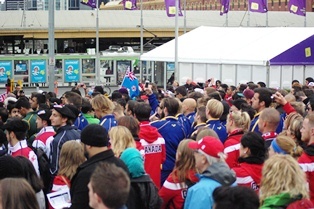 The IC14 launch took place this afternoon at Federation Square in front of the competitors of the many countries and nationalities competing in the tournament, as well as international footy fans, friends, family and interested onlookers. All twenty five teams, 18 men's and seven women's, were represented at the launch however the most of the Chinese team will not arrive in Melbourne until tomorrow morning. The teams were welcomed by Senior Wurundjeri elder Aunty Joy Murphy-Wandin and presented with a branch of a gum tree and invited to each take leaves from it. 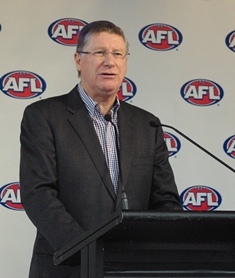 The Premier of Victoria Dr Denis Napthine welcomed the teams to "the world’s most liveable city" "I wish you all the very best for the competition, a spirited competition, competitive games and may the best teams win," Dr Napthine said. 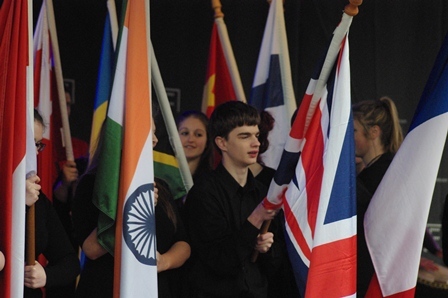 "It is really fantastic to have so many teams here and I wish you well for a great competition." 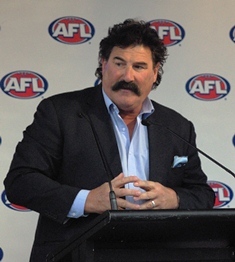 AFL general manager people, customer and community Dorothy Hisgrove said the International Cup was renowned as a prestigious tournament. 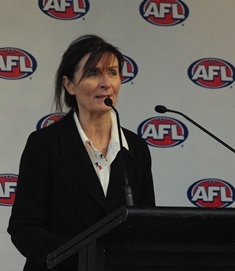 "The International Cup is one of the standout events on the AFL calendar, as it reflects the inclusive nature of Australian football and the continued enthusiasm of the game around the world," Ms Hisgrove said. Former International Cup coach of the Peace Team - Robert Dipierdomenico came to the stage and put his own spin on the welcome - firing up the enthusiastic crowd. 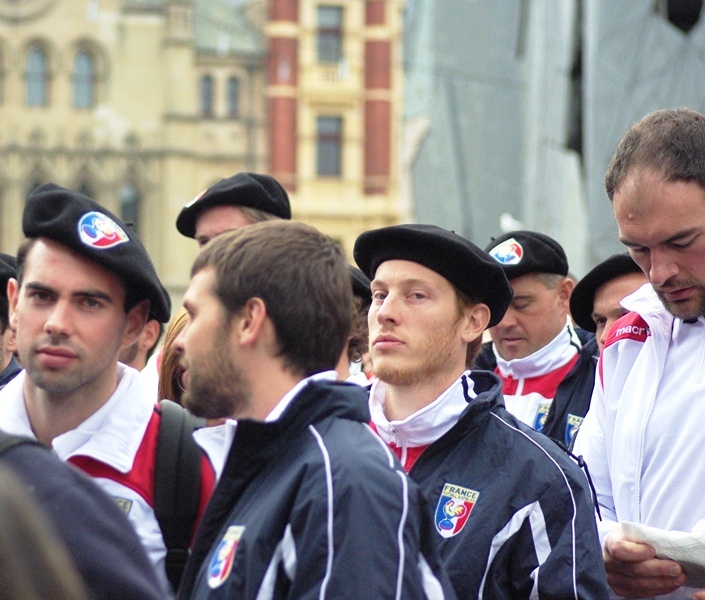 The Irish captain took the oath on behalf of all players. 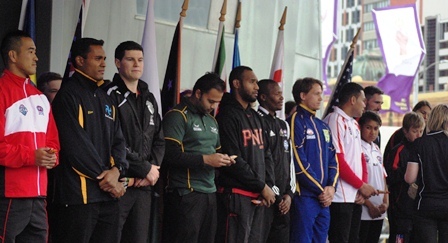 Each country's captains were welcomed onto the stage and stood in front of their country's flag, and were given a welcome present and posed for photos with the cup. They then exited the stage and assembled for their march to the MCG while their captains changed to their playing gear for official photos.